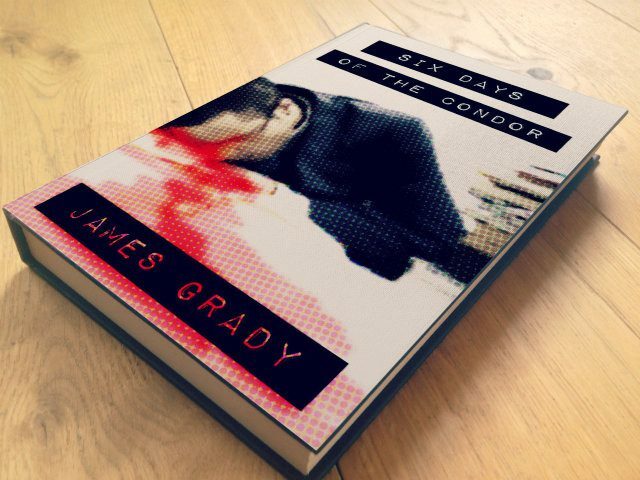 Six Days of the Condor, written by James Grady and published in 1974 is a classic spy conspiracy thriller. It is probably best known nowadays from the movie adaptation starring Robert Redford, Three Days of the Condor. Note: Despite being called six days of the Condor, there are actually eight days mentioned in the narrative: Wednesday to Wednesday. The first Wednesday could be regarded as before the Condor ‘takes off’, and the seventh day as a continuation of the sixth, as the hero is up all night. Ronald Malcolm is a CIA analyst, codenamed Condor, in a low priority backwater of the CIA. His group, ‘Department Seventeen of the CIA’s Information Division’, reads spy novels, looking for innovative ideas, and also for any leaks of information that may compromise real missions. Malcolm is bored by the work and with his colleagues, one of whom, Richard Heidigger, has noticed that there are some anomalies in the deliveries of novels to the department. Heidigger has gone over the section leader’s head to report the matter to the CIA, but Malcolm thinks the discrepancies are just clerical errors. The next day, Malcolm is asked to fetch lunch for the whole group, as it’s raining. While he’s out, a group of men enters the office and kills everyone in it. Malcolm returns to discover the bodies, realises the killers will likely come for him too, grabs a gun and flees. He calls the CIA’s emergency ‘panic line’ and asks what to do. They tell him to hide for a couple of hours and then meet up with a CIA instructor, who he will recognise, and come in to headquarters for his own protection. When Malcolm arrives at the rendezvous, there is another man, Wetherby, with his contact. Malcolm is suspicious, and rightly: Wetherby is part of the conspiracy. He draws his gun to shoot Malcolm, but misjudges the shot and misses. Malcolm shoots Wetherby in the leg, and then runs. Wetherby kills the witness before passing out from blood loss. Realising he can’t trust anyone in the CIA, and needing a bolt hole, Malcolm tricks and then threatens a young woman, Wendy Ross, into helping him. Although she doesn’t believe his story to start with, she becomes persuaded and agrees to help him. They become lovers. The CIA and the conspirators search for Malcolm. The conspirators kill Wetherby to make sure he doesn’t talk. Discovering that Malcolm had been seen with Wendy and determining her address, they send a hit man to eliminate them. The hitman is about to kill Malcolm when Wendy distracts him long enough for Malcolm to shoot him. Malcolm and Wendy flee Washington DC. When the CIA find the dead man in Wendy’s apartment and identify him, it gives them a break. The man was an associate of Wetherby and a third man Maronick. They start looking for Maronick, assuming the three were working together for an unidentified double agent within the CIA. A counter-espionage group in the CIA decides to use Malcolm as an agent provocateur to flush out the conspirators. Malcolm and Wendy return to Washington to call the panic line again. The call is rerouted to the counter espionage group, who convince Malcolm to call the main CIA line and mention Maronick’s name. They hope that his call will panic the conspirators into a mistake. Maronick and the head of the conspiracy, Atwood, meet to discuss the phone call, and by pure coincidence bump into Malcolm and Wendy. A gun battle leaves Wendy critically injured and the three men fleeing the scene, but not before Malcolm notes Atwood’s car licence number. At the house, [blackout]Malcolm is captured and given a truth drug to make him tell the conspirators everything he knows about their plot (which is very little). Malcolm sees a piece of paper noting a flight the next day[/blackout]. Witnesses an Inciting Incident by an unknown group of Conspirators headed by the Antagonist. Goes on the run, pursued by both the Conspirators and the authorities. Involves one or more Allies in their escape (Optionally, there is a romance subplot with one of the Allies). Like Richard Hannay in The Thirty Nine Steps, Malcolm is inordinately lucky. He is supposed to be a junior, desk-bound analyst, with ‘cursory training’ but wins two shootouts with professional killers and survives a third. Again and again, the conspirators make ‘one small mistake’. Also, like The Thirty Nine Steps, Six Days of the Condor is a short novel, only around 50,000 words. The main difference is that Six Days of the Condor was written in a less trusting era: in The Thirty Nine Steps, Richard Hannay knows he can rely on the British Establishment’s help, once he manages to speak to the right people and persuade them of his innocence and the conspirators’ guilt. In Six Days of the Condor, the CIA manipulate Malcolm for their own ends and he has to deal with the conspiracy himself, only returning to the CIA fold after eliminating all the conspirators. Like The Day of the Jackal, Six Days of the Condor is written in a straightforward, detached, non-fiction-like style. For example, the first six pages of the book describe in detail the position of Department Seventeen in the hierarchy of the CIA, the building it occupies, and its procedures for keeping a low profile. This inside-information feel is very attractive to the readers of spy fiction. The resolution of Six Days of the Condor turns on a massive coincidence – [blackout]Malcolm and the conspirators just happen to walk past each other on the street and recognise each other[/blackout]. This is desperately poor plotting, especially as the novel had just set up a different plan for flushing the conspirators into the open. John Buchan might have been able to rely on implausible events rescuing his hero from ‘scrapes’, but the spy novel had moved on by the time Grady wrote Six Days of the Condor. What if you came back from lunch to discover everyone in your office had been murdered? This goes to show how vital a good concept is to selling a novel, both to publishers and readers. 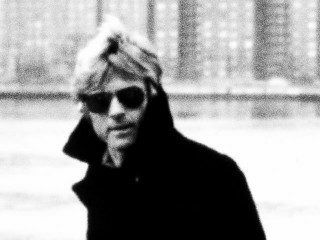 In fact, the concept is so strong that Grady had Six Days of the Condor picked up by Hollywood and in production before the paperback even came out. Over-literal images of condors flying have dominated the commercial covers for Six Days of the Condor. Instead I decided to focus on the inciting incident: this is the sight that confronts Malcolm as he returns from his lunch – his colleagues slaughtered. A great high-concept premise for a novel, but not plotted particularly well. Still, it’s a quick, easy read with a nice style and good momentum. It’s well worth an afternoon’s attention. A film adaptation of the Six Days of the Condor (renamed to Three Days of the Condor) was released in 1976, starring Robert Redford and Faye Dunaway. It was directed by Sidney Pollack. The movie is very different to the book, sharing only the inciting incident and the basic ‘conspiracy’ structure. The reason the office was attacked for instance, is completely different, and that leads to a different denouement. It’s a good movie and addresses some of the problems with the original plot. If also even more cynical than the novel. A sequel to Six Days of the Condor called Shadow of the Condor was published in 1978. Although it was a bestseller at the time, Grady felt his hero had been upstaged by Robert Redford’s movie version, and rather than producing a series, he moved on to other novels. Six Days of the Condor is available on Amazon US here, and Amazon UK here. Three Days of the Condor is available on Amazon US here, and Amazon UK here . If you’d like to discuss anything in my Six Days of the Condor review, please email me. If you thought it was good then please feel free to share it using the buttons below.